Over the weekend the annual Conquest Wargames Convention was held here in Christchurch, New Zealand. As with previous years it included a 15mm DBA competition. This year the DBA competition comprised two sections, or themes, with one running on Saturday morning and the second Saturday afternoon. Each comprised three rounds, with overall scores combined to determine the final placings. The first section used Ancient armies while the second section used Dark Age or Medieval armies. With six rounds across both sections and only seven players, most players fought five games and had one bye. One hour was allowed for each game with players awarded 8 points for a win, with the scoring system generally discouraging draws. In fact of the 18 games played only one game ended in a draw. This section allowed the use of armies up to 450 AD. Most armies fielded were from the Classical period, or from Section II army lists, with just one Section I army making an appearance this year. Above, Robin’s Early Mycenaeans clash with Mark’s Later Carthaginians. The Mycenaeans invaded and caused substantial casualties on the Punic host, though lost a general in the process. Below, Gordon’s Seleucids on the left engage Eric’s Palmyrans in round one. This was a close game as the Seleucids, while unable to secure victory, caused heavy casualties on the Palmyrans. Below, the Seleucids again in action, this time against Peithon’s Asiatic Early Successor. In this encounter Seleucus claiming a victory over his fellow Successor. Below, my Asiatic Early Successors engaged against Colin’s Thessalian Later Hoplites Greeks. The Thessalians defended and with their massed cavalry created something of a problem for Peithon mounted, despite being reinforced by various mercenary auxilia. Below, Peithon’s right flank is overwhelmed by the Thessalian mounted. A careful inspection of the image will see Peithon himself engaged in a desperate charge to stabilise the deteriorating position, which unfortunately was unsuccessful. In these games I lost two generals, indicating why Peithon was to be lost to history his line having been extinguished early. In addition Robin and Eric lost a single general. While the gods clearly did not favour Peithon favour those camp followers defending his camp clearly were, having fought off an attack by Seleucid pachyderms! At the end of the Ancients section no camps were successfully taken. 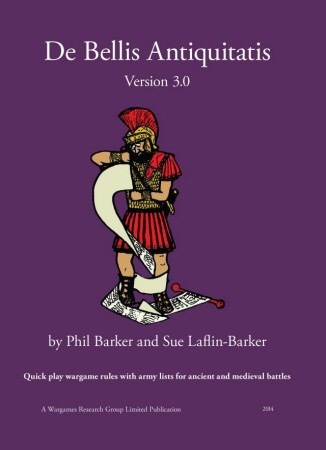 After lunch the players replaced their Ancient armies with those with a list date later than 451 AD. Several new armies made their first appearance at Conquest including Mark’s freshly completed Syrians as well as Eric’s Hussites and Robin’s Ottomans. All very different armies. Above, a portion of Mark’s Turkish-ruled and Ayyubid remnant Syrian States. While below they can be seen arrayed against my own Lancastrian English. Below, another view, this time as the Syrians try to outflank the English left flank but are driven back by Henry & his bodyguard – just! The Lancastrians were also found to be campaigning against the Ottomans as can be seen below. Above and below the Ottomans attack both flanks of the English line. While the Ottomans struggled with the English archers and billmen they were much more successful in their final engagement against the Rajputs. One of the dominating armies of the Medieval Section was the Hussites. Above, a section of the Hussite line, while below it can be seen deployed against the Lancastrians who had deployed first as defender. In the Medieval section Eric achieved a perfect score. As to generals lost in the Medieval section, well it would seem commanders seemed a little more cautious. Mark’s Syrians lost one commander to the English while the Colin’s Aztecs lost a commander to the Hussite reformers seeking to bring their flavour of the gospel to the New World. As with the Ancient Section no camps were looted. A great result for Eric who had secured an impressive score by winning five of his six games. Mark also had a particularly excellent outcome with his Carthaginians doing particularly well, especially when compared to their 2016 performance. Finally a very pleasing result for Robin in his return to Conquest DBA and the first competition using DBA 3.0. Interestingly all those involved in the competition won at least one game, ensuring the laurels of victory were well spread. A final note of thanks must go to Comics Compulsion who were once again organised a great competition and who were very supportive of DBA. Mais quel est ce décor une tour carrée ….. avec un archer au sommet …. Un archer fortifié ? un archer double ? …..
C’est un fort, en garnison par un archer. Et Il y a deux portes Nord et Sud, +4 au combat ….. Il me parait petit, 60mm x 60mm ? Je ne suis pas sûr du placement de la porte car je n’ai pas combattu les Palmaryns. Cependant, un fort ne peut avoir qu’une seule porte. Tu es corect c’était petit. "Those who know how to win are much more numerous than those who know how to make proper use of their victories."